3) Minimize Buyer Fallout – I have a system (best practices) that helps to minimize buyer fall out. 4) Professionalism – My ethics, communication skills, accessibility and responsiveness shall help make your home selling experience a positive one. 5) Special Offers - My special incentives will help you save money, click here. Visit for five star reviews on Zillow, Trulia and Facebook. For short video and more information about me, click here. "I've worked with Kevin on 4 different real estate transactions and he's exceeded my expectations every time! His knowledge of the "ins and outs" of the industry is second-to-none, not to mention his detailed understanding of the geographic areas where I've bought and sold homes (Sacramento and Elk Grove). Kevin was able to guide me every step of the way through each of our transactions so there were no surprises! I would highly recommend him to anyone." "Kevin provides unparalleled service and knowledge of real estate transactions. He has returned many late night calls and makes you feel like his only client. If you are selling a home, Kevin can provide tips on what to upgrade to get the most money for your home and provide referrals to get the work done at a very good price. He will also setup a strategy with you on how to get the best offers for your home." "We appreciate your professionalism, knowledge and your ability to give your customers, “old” school and “new” school, the feeling of confidence in all transactions at hand. We learned so many things we didn’t know about selling property. Thanks to you for putting it in a language, us lay people, could understand. 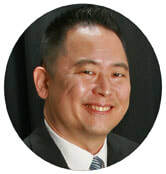 If you want a representative that has excellent knowledge of his trade, is an excellent communicator, conscientious of timelines and always timely in all transaction and keeping his clients’ up-to-date, you want KEVIN NAKANO IN YOUR CORNER." "We appreciated your proactive approach throughout this entire process. You were always available to answer questions and provided adequate advice for our situation information in a timely manner. You’re a great communicator! We would definitely refer you to our family, friends, co-workers and anyone else wanting to sell or purchase a home. You are to be commended for your professionalism, proactive attitude, and willingness to help in the sale of our home. In closing, we want to say thank you for the best customer service anyone could ask for. We look forward to working with you in the near future. We wish you the best in all your endeavors." "Kevin took time again to explain everything and kept my best interest at heart. Very ethical. I was able to trust him, That is not common in today’s industry." "I just wanted to thank you again for all that you’ve done for us…We had no idea what we were doing or what to expect out of this but with your knowledge we knew we could trust you…We were very pleased at how easy it was to get in contact with you whether it was by email or phone. You were always quick to respond and I am especially grateful for the reminder calls whether it was to return documents or just to let us know where we were in the process. We will definitely refer all friends and family to you and we couldn’t think of working with anyone else for future home needs. Thank you." "I felt really good about our initial meeting. You came prepared with data that helped us make the best decisions and our goals realistic…I think you are very knowledgeable about the process and have probably experienced many different scenarios. You did a good job of explaining things and guiding me through the process." "Kevin was very knowledgeable, patient, and friendly during my home buying and selling process. He was always available to answer questions, no matter how small or silly. I would recommend Kevin to any person or family that is looking for a realtor that cares as well as who puts you first." For more client testimonials, click here. Return to Seller Resource Center, click here.